Many manufacturers seek out CNC software to increase their productivity. Whether they have older machines and small shops, or the latest technology and many employees. OEE Monitoring: Some manufacturers have basic set ups that tells them when machines are down. While this is a great first step, a truly productive manufacturer wants more info. Why were machines down? How long are processes taking? Machine monitoring software helps to evaluate and improve these issues. 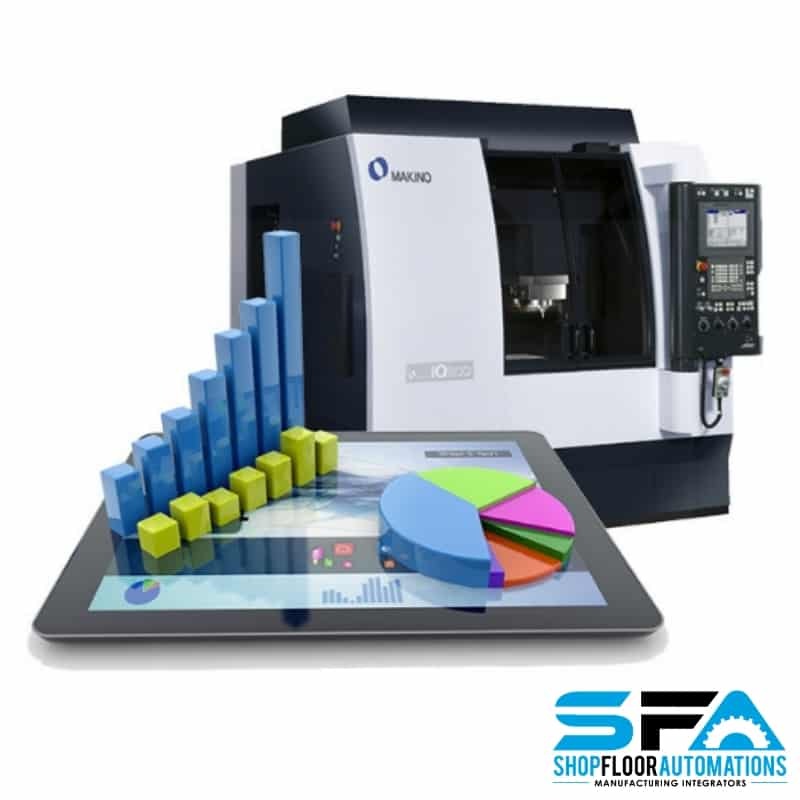 One shop floor network: Making sure programs make it to the machine is a crucial issue on the shop floor. Related issues such as revision control and saving the machinist time are also important. DNC software assists in managing programs and communications for thousands of machines. Protocols: While not technically software, people want new methods of shop floor communication. Protocols such as MTConnect make this task non-proprietary and less cost prohibitive. As far as compatible software, machine monitoring is the most popular solution in this category. Other software for the shop floor: PDM helps shop floors go paperless and prepare if an audit occurs. There is also CNC Editor to make sure programs on the shop floor are good to go. Tool Crib software is also helpful in your quest for productivity.